"Very Friendly, Nice Guy, Completed The Job Very Well In My Opinion And Was Really Helpfull"
"They Did The Work To Good Standard"
"Every Thing From Start To Finish"
"Turned Up When They Said They Would And Did A Great Job. 100% Hassle Free !" 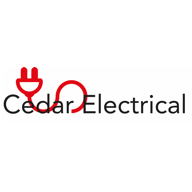 Need a Electrician in Pinner?